Our Showroom - Servicing Naperville, St. Charles, Hinsdale and surrouding areas. Pick up your free gift! Come have a beverage or try a burger from one of our grills! Thanks to County Wide Landscaping we now have an awesome patio. We wanted to replace our deck with brick pavers since we had those at our old house. I gave them some ideas on what I wanted and they set up an online meeting to go over their design. I was floored by their 3D design. They have some incredible talent when it comes to putting a design together. The project was completed in two days. They sent out a very professional crew. They did a good job installing the paver patio and they also cleaned up everything when they were done. The owner followed up with me after the crew was finished to see how I liked our new patio. I would not hesitate to use County Wide in the future. We love our backyard now. 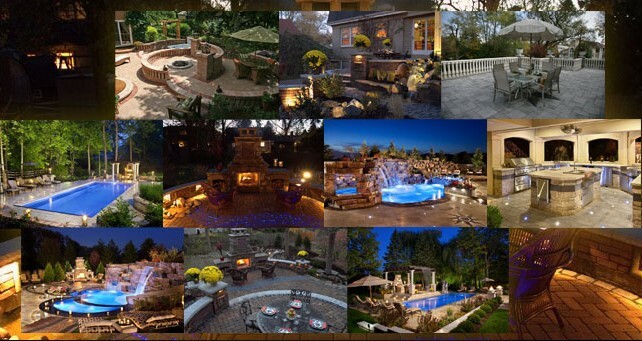 County Wide was referred to us by a friend who had just had a fire pit installed and loved the work. We had them do a ton of landscape work, make our existing brick patio bigger and add a fire pit with sitting wall/lighting. With all the rain we had this spring, they managed to complete this big project in 4 days. Everything was perfect. There were a few questions/concerns we had toward day 3, and without question they addressed our concerns and made the adjustments right away. The patio looks amazing and makes our backyard look beautiful. We have already had a few people look at the work and request their contact info. I would highly recommend County Wide to all my friends and family. We will be using them again next year for a few smaller projects.